Newly Renovated 3 bedroom, 2 full bath house. House features modern amenities like Cable Tv, Netflix, a complete kitchen, and on-site driveway parking. House is in a great location, close to everything Niagara Falls has to offer. Enjoy the entire house with three bedrooms, each with a queen bed. Less than 10-minute drive to the Niagara Falls (4 miles), Prime outlet, Restaurants, and major grocery stores. The 2nd full bathroom is in the basement. There is 1 Queen bed and 1 twin bed in the basement only to be used when booked for 9 people. 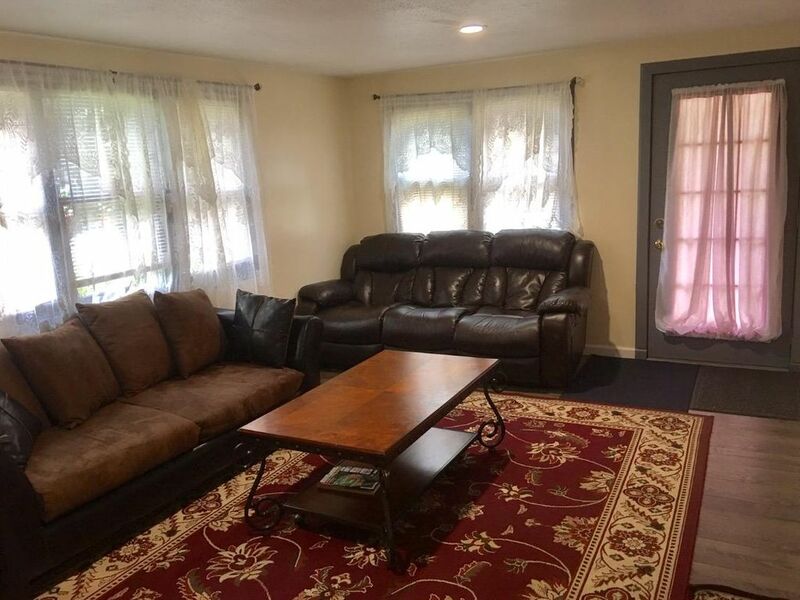 House has central Air Conditioning and heating, Free Wi-Fi, Netflix, and Cable Tv. the facility met our needs perfectly and was very pleasant. I would stay there again. Wonderful accommodations close to the Falls. Sam provided excellent customer service... very helpful with all our needs. Highly recommend. We really enjoyed our stay at this little house. It was clean, had ample sleeping space, and was very close to all the Niagara Falls stuff. I contacted owner a couple times and he responded immediately...that was really nice! A couple things to note...the rooms are small and the beds are queens. The bedrooms are crowded. I had trouble finding a spot to fully open my suitcase. Granted it was a large one that my husband and I shared but still, not a lot of walking room in the bedrooms. Downstairs bath has ample room and is nicely done. My other suggestion is that the cookware could use an upgrade, and some of the non-stick utensils were melted simply due to their quality. A washer/dryer unit would be a fantastic addition to this house! All in all, we enjoyed our stay and would come back. Thanks, Sam! Thank you so much for your stay. Tucked away - upgraded home ! we recently stayed for one night at this wonderfully renovated house. It looked quite small from outside but had plenty of space at both the upper and lower levels. Sam was very kind and a great host ! Place is perfect for quick stay if you are doing a trip to Niagara Falls. (~7-8 minutes drive to niagara falls state park). Niagara Falls is great to visit any time of year. We have great attractions, restaurants, hiking, and tons of scenic views. We have a casino as well as a lot of shopping destinations.